You wake up, turn the stove on, prep the batter and get ready to make some mouth-watering breakfast. The wafting aroma of newborn pancakes and fresh blueberries fills the room. You choke on your second breath and feel the harsh tickle in your nose. The sizzling mixture of butter and batter quickly turns into a burning mess. You did it again – you burnt the first pancake. Yes, the first pancake – you always throw it out. Why do you throw out the first pancake? Well, because the griddle is too hot or there isn’t enough butter on the pan. So, it gets burned and you throw it out. But just because we throw the first pancake out, doesn’t mean it wasn’t important. 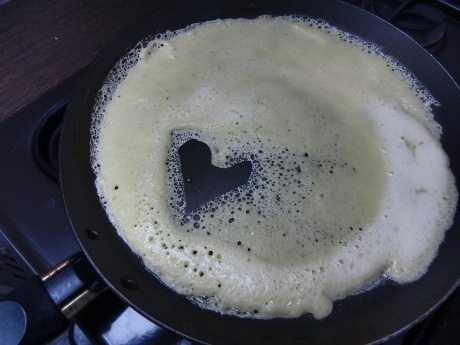 In fact, the first pancake is the most important. It gives us very important information to where our failures and successes are, so we can adapt our methods and get it right the next time. The same goes for digital marketing. The Secret to Great Digital Marketing: Fail Smart, Learn Fast. As you get ready to make your first digital marketing campaign, you gather your ideas, you finalize your messaging, you pick your platforms and you begin to cook. You might have heard of the over used phrase “Fail Smart, Learn Fast” approach as it applies to digital marketing. It’s ok to fail at first — aka burn your first pancake — as long as you do it smart and learn from your mistakes. The best part about the digital space is that you can instantly make changes to test, learn, and refine for optimal success. As you look at the results from your first pancake you might start to see some trends or realize a complete failure. You will want to analyze why your first pancake burned and how you can make it better the next time around. Revamping your digital marketing strategy based on the lessons you learn along the way will help make your campaigns stronger and also help you gather some great data to help inform discussions in other channels or marketing efforts. Once you have the data, think about each aspect of it. What piece of the recipe threw you off? The creative? The messaging? Platform selection? Audience targeting? Was the audience too broad or too narrow? What was your landing page experience like? For mobile? For desktop? What was your call to action? Was it easy to navigate? Was your messaging clear to where you were taking your audience? If the griddle is too hot, turn it down and test at a new temperature. Say you got the first pancake right – would you ever know what not to do? Or why the first pancake worked? You might be setting yourself up for failure again and again and again. You would be in the dark. Don’t be afraid to burn the first pancake – in fact, go into it knowing that your first digital marketing campaign will be both your failure and your biggest success. Don’t be afraid to burn the first pancake. Use the first pancake to test. See the results and adjust based on your failures. Be smart; elevate results.